Remind yourself of The Libertines rocker's take on their Prangin' Out single. 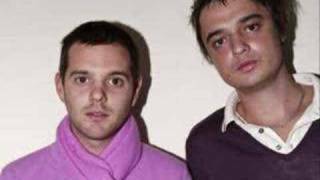 This week saw The Streets announce a UK Greatest Hits tour for next year, and naturally... tickets sold out pretty sharpish. With the hunger for Mike Skinner's brand of garage and hip-hop clearly stronger than ever, the news has sent nostalgic fans looking back over the band's discography. But does anyone remember when Pete Doherty put his own spin on The Streets single, Prangin' Out? If not, listen to The Libertines singer's poetic version of The Hardest Way To Make An Easy Living track above, courtesy of Dan Andrews YouTube account. As you get ready for this Friday night, why not watch your night narrated by The Streets?